Made from a natural elastic material Caoutchouc obtained from the latex sap of trees especially trees of the genera Hevea and Ficus. This is a non vinyl, non chlorine, non-phthalate based product. Very durable, heavy weight, natural rubber construction. 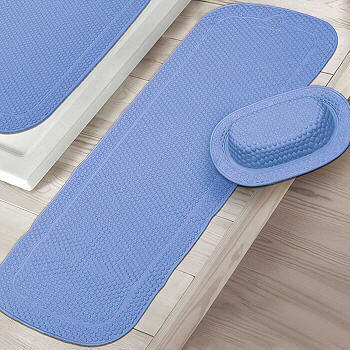 PVC free non vinyl, non chlorine based product eco friendly natural rubber safety mat. The design is slightly raised providing great anti slip capabilities.